Wearing a traditional Saudi full length outfit known as a thobe, the Prince of Wales joined members of the Saudi Royal Family in a ceremony celebrating the country’s culture. 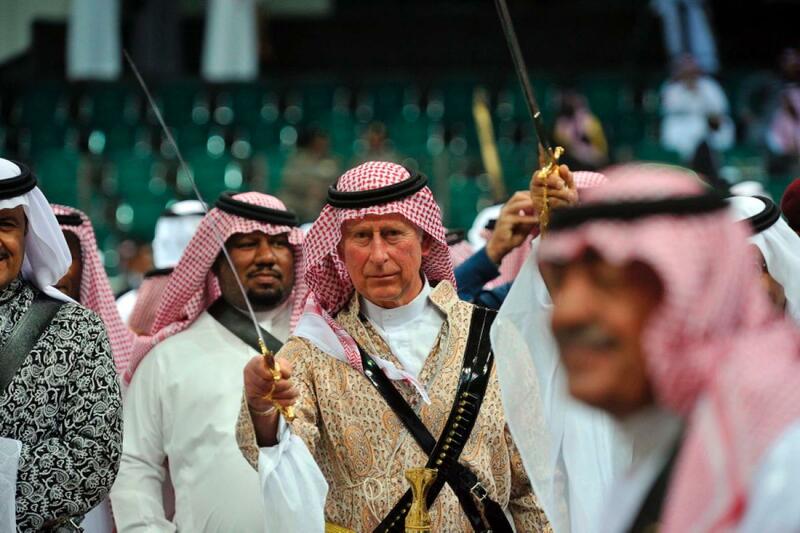 The prince is currently touring the middle east, visiting Quatar and Saudi Arabia. It’s his 2nd visit to the two countries within a year. The Ardah ceremony features 100’s of Saudi boys and men dancing and singing whilst holding their swords in their hands. Sources at Buckingham palace have said that Prince Charles planned to meet the Saudi king, before a 2 day visit to Quatar, where he is to discuss the need for reconciliation in the region and hopes for the future.